Howdy ho and happpppppy Friday! How was your week?? It’s actually been really good over here. I got some amazing news yesterday on something I’ve been super stressed about for a few weeks now, so I am a happy, happy girl today. I won’t go into detail and bore you with it, but let me just say that God is good. He always works things out in unexpected and crazy ways. And boy, am I grateful for THAT. Anyway, aside from that, this week was pretty easy going and smooth sailing for the most part. Don’t you love weeks like that? When everything just seems to kind of float along calmly like it’s supposed to, without any major issues. That doesn’t happen as often as I wish it would around here, so I’m extra grateful when it does. I hope you had a good week too and I hope you’re ready for a really random Friday Favorites post! I’m talking about my big she-shed dreams, my favorite leather jacket, my recent social media break and more. Grab a snack and let’s do it! Soooooo this past week I’ve been dreaming some big dreams about turning the cute little shed in our backyard into a functioning office/she-shed. I’ve actually thought about doing this for a while, but I always kind of wrote it off because I knew it would be a lot of work. But as time has gone on, I’m realizing more and more how much I need my own work space. Right now I have no home office. I generally do all of my computer work on the couch or at the dining table, which isn’t so bad, but I desperately need an actual office space with things like a printer, file cabinets, etc. ADULT OFFICE THINGS. 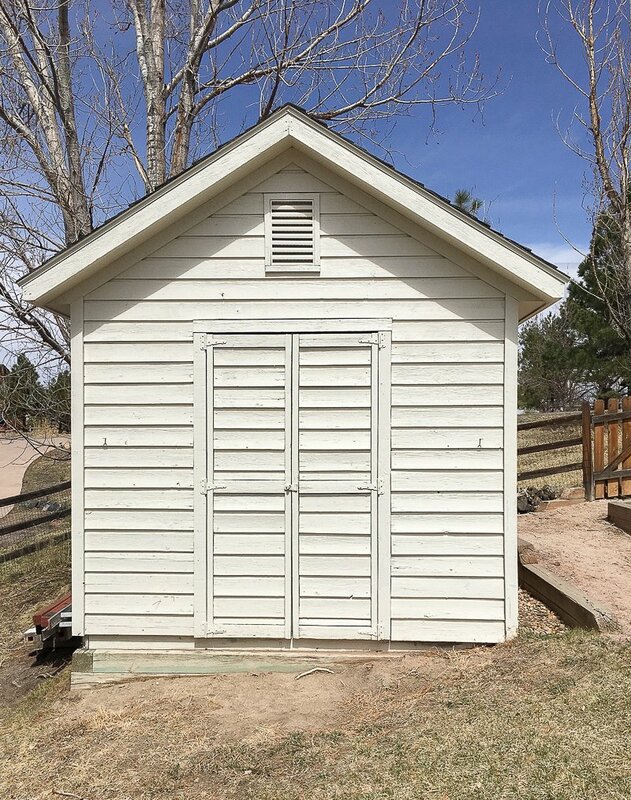 We have a little white shed out in the back yard and I think it would make the perfect office space with just a little bit of TLC. 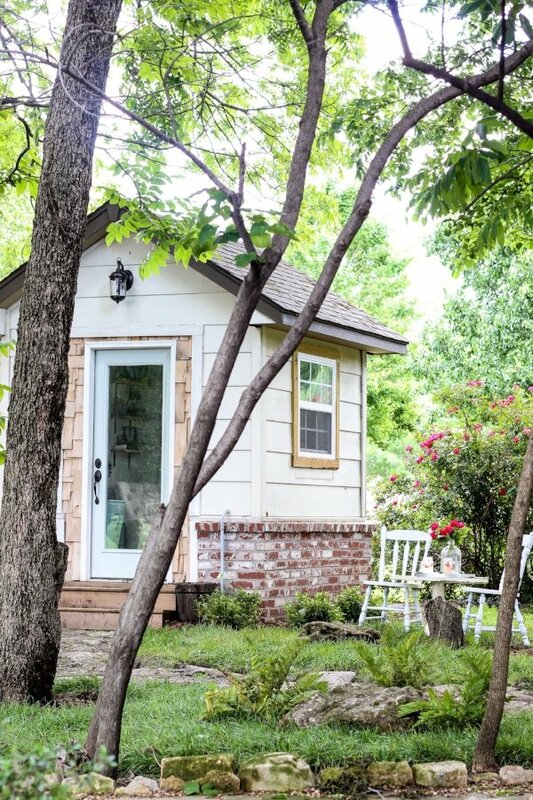 I’m crazy about this cute little she-shed from Cotton Stem. 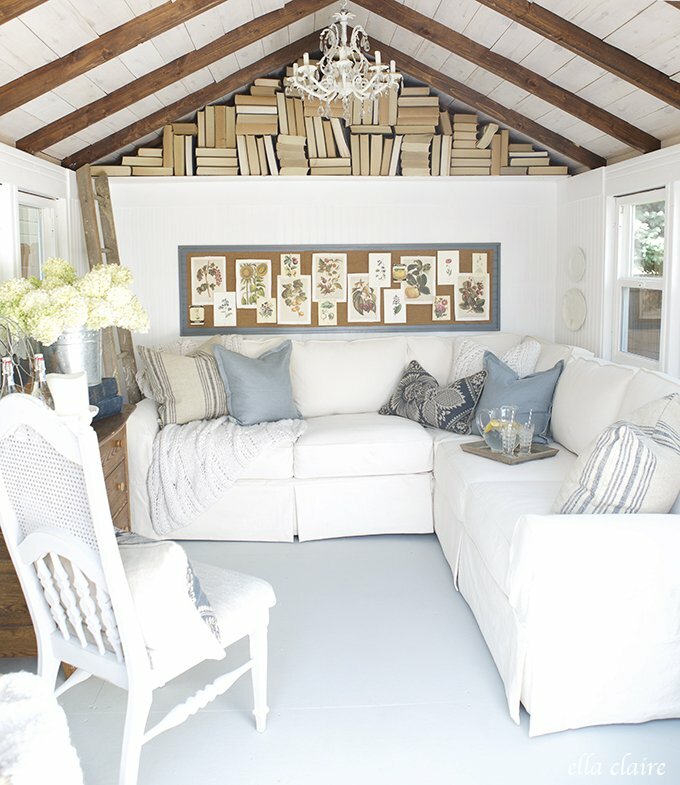 The interior of this gorgeous she-shed from Ella Claire is amazing, right?! I would love a space like this. And even though I really need it for so many reasons, I just don’t know if it’s in the cards right now. I have a few other big projects I’d like to get going on soon, so this may have to take a backseat. 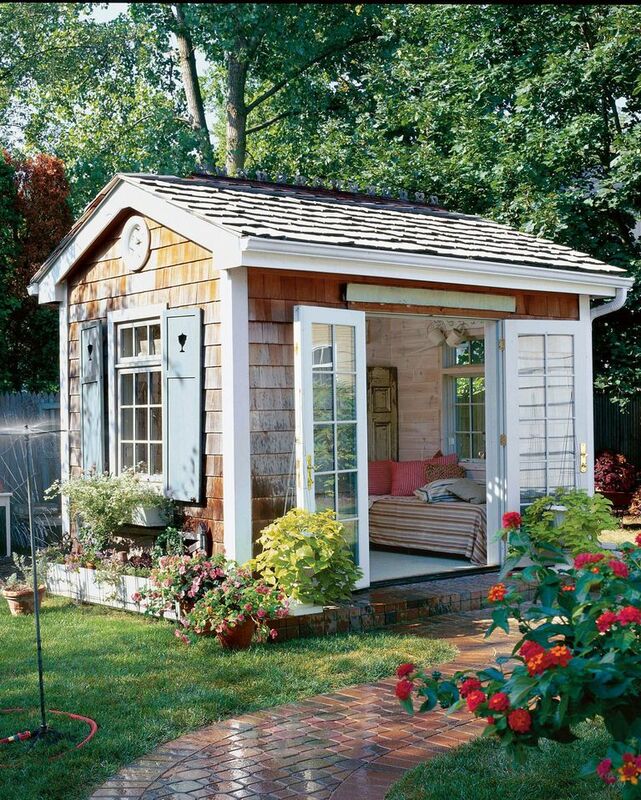 But gosh darn, I want a she-shed so bad!! The weather has been slowly starting to warm up lately, which means I’ve been wearing my (faux) leather jacket practically every single day. I got this last December, but it was just a tad lightweight to wear as a winter jacket here in Colorado. But now that temperatures are warming up I’ve been wearing it a ton lately and it’s absolutely perfect for this time of year. 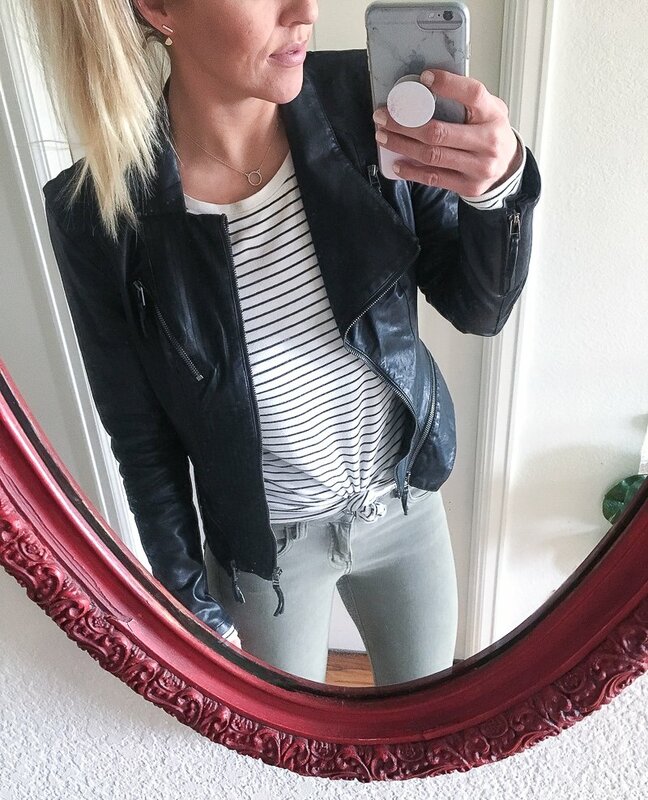 I feel like a good leather jacket is one of those investment pieces that should be in every wardrobe–you can dress it up when you need to be a bit fancy or you can wear it with a t-shirt and jeans and still look put together. This jacket is so versatile and I’ve been reaching for it nonstop lately. And how darn cute is it with this light pink maxi dress?! Unfortunately, this jacket is usually sold out, but I went ahead and rounded up a few other options that are also very affordable. I especially love this one for spring and cool summer nights! I got my very first FitFabFun box about two weeks ago and holy smokes, I LOVE IT. 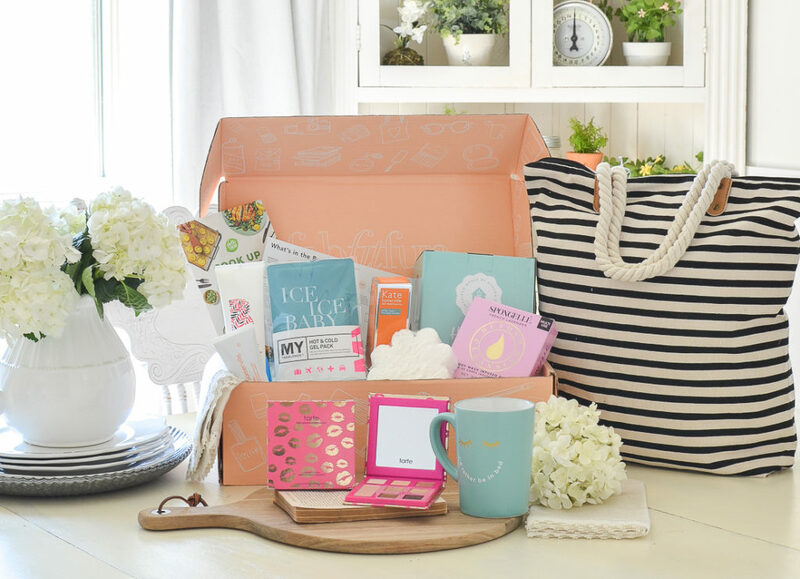 It’s actually a seasonal subscription box that comes four times a year and it’s full of full sized products. This is the spring editor box and it came with tons of goodies, including the cutest striped tote bag and a Tarte eyeshadow palette that I’ve literally used every day since I got it. I think this would make the best Mother’s Day gift ever, so I wanted to share it with you guys. Plus they were kind enough to give me a coupon code–“NEST10” will save $10 off your first box. Whoot! Did you guys hear about all the new spring launch from the Hearth & Hand collection at Target? This may be the coolest release yet because they’re now carrying wallpaper, hardware, and even the Magnolia Home interior paint AND the chalk style paint. EEEK!! I love that wallpaper is making a comeback. If it’s done right, it can make a huge difference in a space without a big investment. 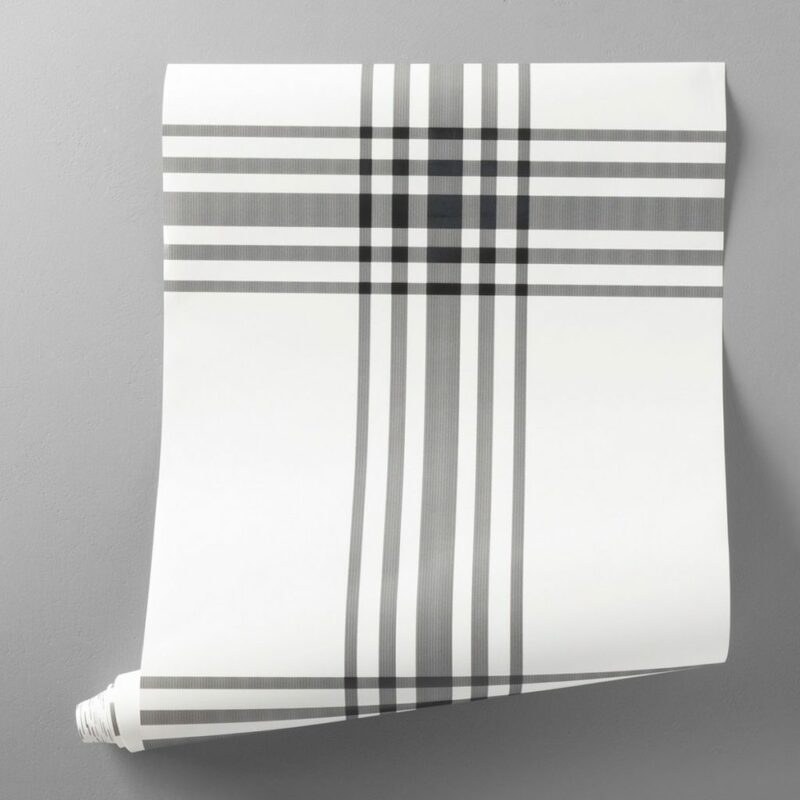 I love this white plaid design. It also comes in black too! There’s also a lot of new fun decor and there’s even a cute Mother’s Day gift collection! I made a quick stop into Target yesterday to check out the new goodies, but unfortunately my Target is super lame and didn’t have much of the new stuff out yet. 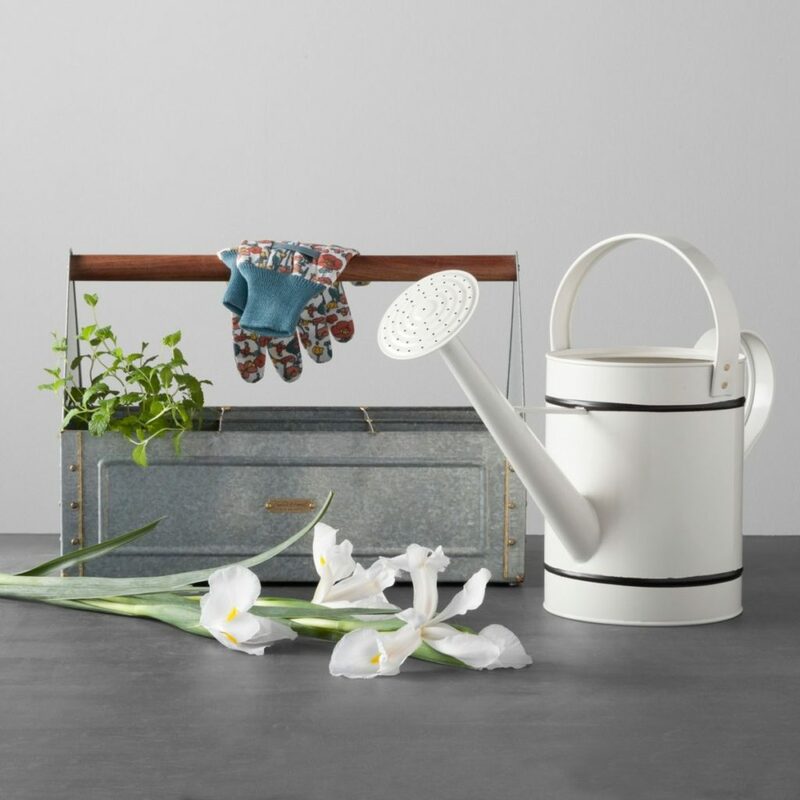 But I did pick up this white watering can. I spotted this gorgeous black maxi dress on sale a few days ago and I had to snag it. 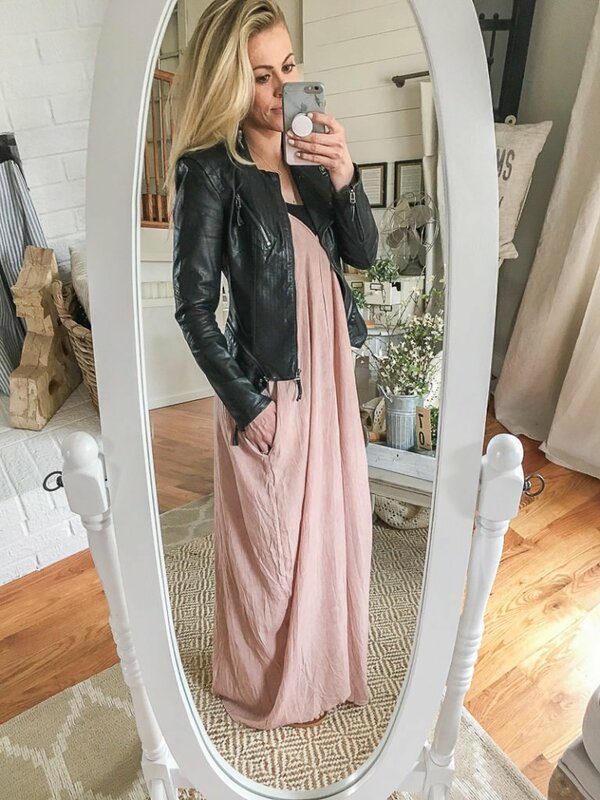 I am a huge fan of maxi dresses for spring and summer (even fall!) and I am so excited to get this one because the reviews are all awesome. It’s backordered about a week or so, but I got it anyway because I didn’t want to miss the sale! A few days ago I stumbled on this hanging chair and I can’t stop thinking about it. I LOOOOOVE it so much. It works indoors or outdoors and I think it would be super cute in the kids’ play area. Or hanging on the back patio. So fun! Lately I’ve been thinking a lot about social media and it’s impact on our daily lives. A few weeks ago I actually took an Instagram break for several days (I deleted the app from my phone!) and it was SO good for me in a lot of ways. Since then I’ve decided to start taking regular breaks and set more of a daily schedule/rules for myself when it comes to being on IG. So far it’s been awesome and freeing in a lot of ways. It’s pretty crazy how much time and energy can be spent on that darn app. Anyway, I encourage all of you to take regular breaks from social media when you can. Put the phone down, get outside, exercise, do something creative. Enjoy life without staring at your phone all day! You’ll be better for it . Great shed! I have a barn on our vacation property I would love to turn into a Party Barn but never seem to find the time! I can’t wait to see what you come up with! I really hope you can carve out some time for this project. Oh that sounds awesome Lorin! I’m really hoping we can make this idea happen, but it may take a while. Fingers crossed! Looks like it will be a great space. Question though…how do you disappear to your she-shed with your little ones? Just curious. I’d have to do it when my husband is home from work and on the weekends, which is when I get most of my work done anyway! Love the she shed idea for you. you’ve got the shed so you’re on your way! 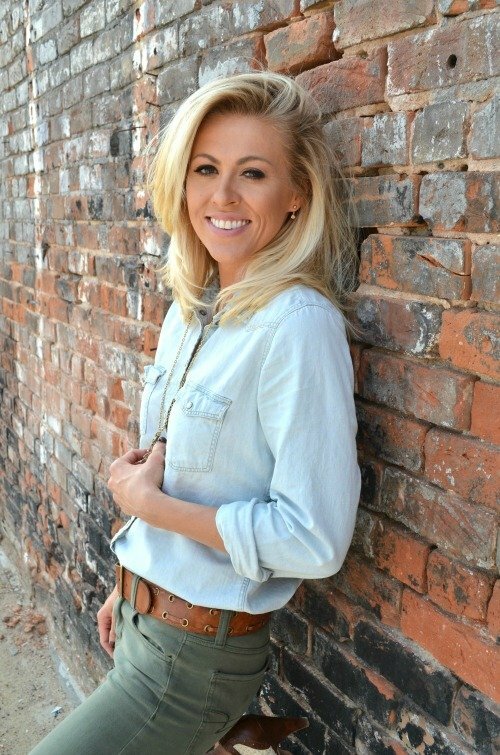 Hey girl, I love the whole blog post today! I have to ask where I can find earrings like the ones you have on in the shot with the cute leather jacket?! I am super picky about earrings and those are the CUTEST! Have a wonderful Friday!! Hey Dena! Unfortunately those earrings are from Kohl’s and they’re several years old 🙁 Wish I could link to them for you! I too love the idea of a get away shed, but would be hard to slip away with small children. I suggest a fun summer play house for now turning into she shed later. Just a motherly thought. Yes, you’re exactly right. The only times I could really use it as an office would be when my husband was home to keep up with the kids for me! I like the idea of checking social media at set times. In the evening I like to check Instagram, YouTube and Twitter. If only I would get disciplined on Facebook. I get you on IG and all of the time suckers. I put my phone on Airplane Mode a lot! lol. I’m not sure if you know, when you reply to a comment, the person never sees it unless they search for your last post. I know Word Press allows you to reply, and it also goes to the commenters email. So—you may be really wasting some time there. I know I can’t go to a blog twice a day or two. I think your she shed sounds fantastic. If you eliminate the window cutouts, you’d save a bunch. Maybe a skylight would be more economical? I’m not sure if a link will work in a comment, but I have a “She Place! !” for lack of better words. It’s 11 X 12, and detached from the house. You can see it from outside on my sidebar at my blog, and here is the link from last summer, when I shared the inside. We’ve had it for about 11 years. It’s my little sanctuary, and yeah, as a writer/columnist, I get a lot of work done when I’m not looking outside at the lake view and birds flitting around!! Awwww Sandy!! So great to hear from you. I totally remember that house with the barn and I’m so glad you got it!! I hope life is treating you all well!